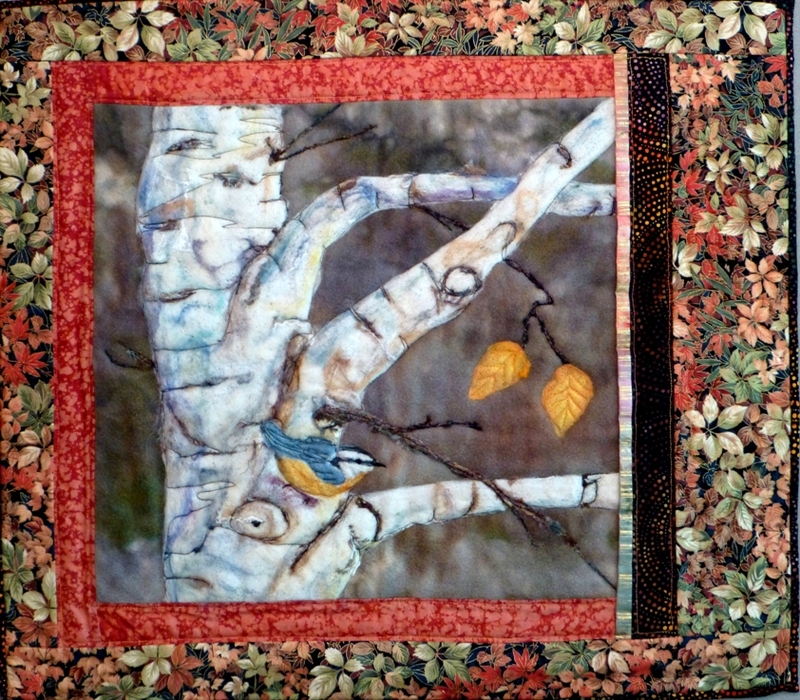 Nature Artists’ Guild member Sharon Malec is known for her beautiful fiber art, and in the next few months there will be numerous opportunities to view it! Seven pieces of Sharon’s work will be included in the Insects to Elephants exhibit at the Wisconsin Museum of Quilts and Fiber Art in Cedarburg, WI from October 21, 2015 until January 10, 2016. Sharon’s work will also be included in the All Felt exhibit at the Burning Bush Gallery in Wheaton, IL from November 19 until December 6, 2015, as well as the Fiber Art Divas exhibition at the Naperville Fine Arts Center and Gallery, Naperville, IL from October 14 until October 24, 2015. An opening reception at the Naperville Fine Arts Center and Gallery will be held from 2 until 4 pm on October 18, 2015. Please click on the highlighted links above for more information. This entry was posted in Member Artwork, Member News, Outside Exhibitions. Bookmark the permalink.